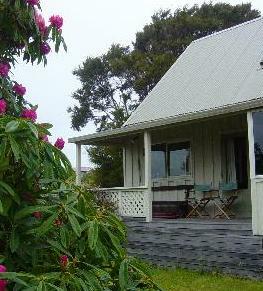 The Ryder family own a beachhouse at Stephens Bay, an hour's drive from Nelson City. The beachhouse has been owned by them since 1971, when Daphne and John were still living in Wellington but intending to shift to Nelson. In 1991 the house was demolished and rebuilt with the present building. Since then, Stephens Bay (and Kaiteriteri) have undergone extensive redevelopment and now are very much urban centres - at least during the Christmas school holidays. The old house featured the last "long drop" pit toilet in the bay. With connection to the sewage scheme and the fresh water reticulation replacing roof rain water collected in a tank the house is more luxurious than when it was originally purchased. We now have running water (both hot and cold), a shower, a flush toilet, satellite TV and a variety of other modern household comforts. The house is available to rent by friends and relations etc. Please contact us by email to enquire about bookings. Stephens Bay is a peaceful little beach that provides safe swimming from the beach. As well as this, there are rocks to climb, walks to nearby Kaiteriteri beach and across Tapu Bay estuary (when the tide is out). Fishing from the rocks (beware of snags) and from a boat results in ocasional success. Better success is obtained by drag netting (for Yellow Eyed Mullet and Garfish) from either Stephens Bay beach or with the incoming tide at Tapu Bay. Paddle Crabs can be caught with pull pots (ring nets). The catch of these is variable - from "plentiful" to "scarce" . 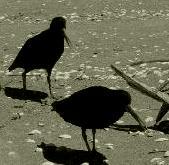 There is no obvious cause for variations in their numbers. Check out the tide tables if you are planning any water related activities. From Stephens Bay you can easily access a lot of different activities. The Abel Tasman National Park is nearby - accessible by boat from charter operators at Kaiteriteri and Marahau. Kayaks can be hired from either Kaiteriteri or Marahau, or the Abel Tasman costal track can be walked, beginning at Marahau. The Kaiteriteri mountain bike track has an extensive network of tracks from beginner to advanced levels. There is a lot of very good tramping in the region. A day trip to Mount Arthur region or longer trips - the Heaphy or Wangapeka tracks to the West Coast, and the inland tracks of the Abel Tasman National Park are easily accessible. To see maps of how to get to the beachhouse, go to the Maps page and see the maps of the whereabouts of the Ryder beachhouse at Stephens Bay.